Our Florida Public Adjuster (Bryan E. Thomas) is very well versed in water & flood damage coverage and policy language. He has adjusted thousands of water and flood claims over the years and is second to none when it comes to getting the best water / flood claim / pipe break claim settlements possible. Bryan E. Thomas is a top rated Public Insurance Adjuster and is considered one of the most qualified and experienced Flood Adjusters in the insurance industry. He knows what it takes to maximize water damage / flood damage and pipe break claim settlements and feel our firm is the top public insurance adjuster firm in the Country when it comes to these type losses. We are held to the highest possible standards being a member of NAPIA (National Association of Public Insurance Adjusters). Water damage, mold damage, flood damage and pipe breaks are some of the most common reasons people make claims on their home insurance. Burst pipes, leaky appliances and flooded basements are just a few of the ways you could discover exactly what is and is not covered by your home insurance policy, most insurance companies will deny pipe break claims because they don’t understand the cause and origin of the damage, because of this, you should hire a Public Adjuster from the start. We will help deliver the results you deserve as a policyholder. 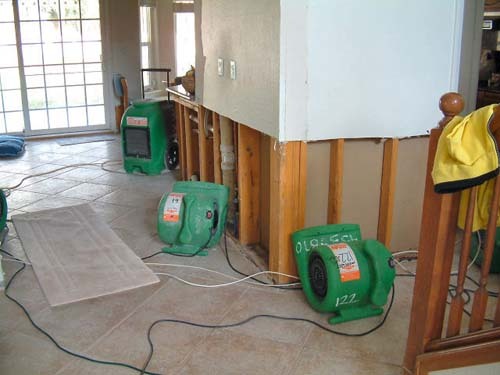 One call to Bryan E. Thomas at (800-616-4027) can change the stress you feel due to the flood/water/mold damage event. Bryan works fast to get on your scene, assess the damages and begin the process of an equitable and proper recovery immediately. We all know the saying “the devil is in the details”; well your insurance company is in the business of running past the details which lead you to a more equitable recovery. Bryan however has a cadre of tools and event experience to assemble a detailed recovery which will lead to a satisfactory recovery of your home and property. My clients do NOT get charged for leak detection. There is NEVER a charge for leak detection done for my Public Adjuster clients, ZERO, ZILTCH! Not $25.. not $26 dollars!